This is really yummy, it is not a high cake but don't let size fool you, it is very calorie dense and yummmm. Ryan loves it straight out of the fridge but you're meant to bring it to room temp before eating. I like to bring mine to room temp and then chuck in the oven for a few minutes so the ganache is goey (shown in photo). You don't have to use the ganache it is said to be fine without served with cream, berries and a dusting of cocoa powder. This is a de-carbed recipe by Belinda Jeffery and she is my new found favourite chef! Preheat oven to 180C (356F) and roast hazel nuts for around 10-15 minutes until skins start to split, turn off oven and cool for a few minutes then grab a handful and rub them in your hands so the skins come off. Remove skins as best as you can but don't worry if they don't completely come off. chuck these in the freezer for a while so they get really cold and then grind them in small batches being careful that you don't grind them too much or they will start to turn into a paste! Whisk egg whites with salt until soft peaks form and set aside. In a small bowl give the yolks a quick whisk then add the yolks to the chocolate whisking as you go, then add the hazelnuts. Stir in one third of the egg whites then fold in half of the remaining egg white and then the other half. Scrape into a greased spring form pan and chuck in oven for around 30-35mins until centre is firm and springy. Cool in pan. Let ganache cool until a thick consistency then spread over cake. Belinda suggests doing a crumb coat first where you spread a thin coat over first, chill and then re-coat. This is said to help achieve a smooth coat. Ok the counts, now this is calorie dense so I suggest having it for a meal rather then a snack or use for special occasions, makes a great breaky! You could get 12 - 16 slices out of this, I did 12. You could lower the carb count a little more by using splenda tabs or liquid splenda. e.g. one cup of splenda is 23.2g whilst 50 tablets is 3.8g. Stevia is also less in carbs. The post was edited 2 times, last by Sherrie: added American measurements ( Jun 20th 2010, 11:27am ). oh, I will... don't you worry! will have to try it again next week (after I get paid... lindts' exy at $3.60 per 100g, and I'm broke!). Whatever you do don't eat it straight out of the fridge, it is not as nice and probably more likely to be bitter. I can buy this in several specialty food stores in Perth and I imagine you could in Adelaide as well. Your recipe is very similar to one I make but I can’t be bothered with all the fussiness of roasting and grinding hazelnuts and whipping egg whites so I’ve simplified mine in the preparation. I use bought hazelnut meal, keep the eggs whole and melt the chocolate in the microwave with the butter. 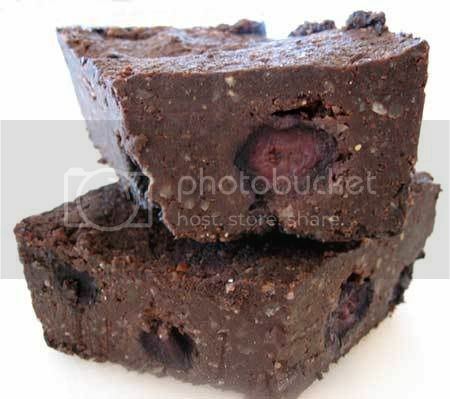 I throw in a handful of frozen blueberries at the end and don’t bother with a ganache. 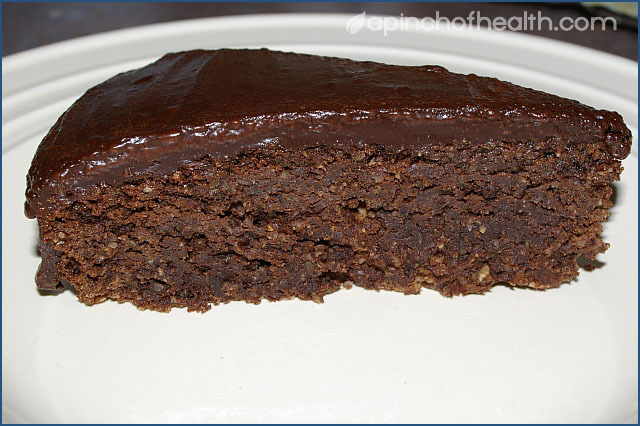 This is without a doubt my favourite low carb chocolate recipe – don’t know if I could call mine a cake though, it’s way too dense. OMG where have you been all my life!!! I just had a look and at first I was thinking oh heck this is all soooo expensive then I got to the bottom of the page, if you buy 2kg of the coverture it is $25 per kg including freight, thats $2.50 per 100g, much lower carb and cheaper then lindt and to my door!!!! I have tried lots of chocolate shops and never found it. The only place I knew of was the USA foods website. Oh how cool, I will have to add that to the products in Australia thread, thanks ZG!!! I used hazelnut meal for that recipe too because the meal worked out cheaper then the actually nuts but next time I will roast. I made this slice recipe a few weeks ago too, I will post it once I perfect the base, it is really yummy. But anyway, I loved the taste of the roasted hazelnuts so I want to try it that way too. I don't know how you don't use the ganache, I love ganache, its my favourite bit!!! Your cake looks yummy and like a brownie? I’ve been using their chocolate for years! I do love ganache but I find my cake/brownie (whatever LOL) is rich and satisfying enough without, so why up the carb count further? It’s the same with things like my pumpkin spice or carrot cake muffins – they would be great with a cream cheese topping but I find they're just as satisfying with butter or cream instead and I don’t have to worry about adding more sweetener to a topping. Make sure you post that slice recipe! BTW I found some hazelnut essence a few weeks back (I know I mentioned I was looking for some in another thread somewhere) but I haven't used it yet. The post was edited 1 time, last by zedgirl ( Jun 23rd 2008, 9:42am ). The slice recipe was like eating something really naughty. Mind you I am trying to be chocolate free this week, we'll see how long that lasts! yeah i use to buy coverture chocolate buttons from my local wholesale store, which in most states the public can buy from their to just look in your local yellow pages, havent been their for a while might have to go and get some. I've seen Nestle Baking Chocolate and Couveture Cooking Chocolate at Safeway. OMG the cake looks fantastic. I thought I was the only one who had choc cake for brekkie. Back in the early 70's on W.W. we were allowed to make two little cakes called "Chocolate Custard Cakes" by getting a slice of bread and blending it with the other ingredients. I'd take my two littlies to kinder and then come home and have one of these cakes for breakfast, my husband thought I was nuts but yummo, I sure did enjoy them. Swapping the splenda granula with 50 splenda tabs should alter the carbs significantly. Thanks Sherrie, would it freeze okay without the Ganache? Icing "thingies" don't thaw that well, from memory. I never tried but according to the original recipe it keeps well in the fridge for at least 5 days and freezes well for a couple of weeks. Sounda good to me - that's a keeper. sherrie, have you tried this with 50 splenda tabs? does it taste different,a dn how do you do it? do you just dissolve them in a little water? i've heard splenda tabs are not as good for you as the powder (?). also, if we used coverture chocolate which has less carbs and then used the spenda tabs too i wonder what the carb count would be - coudl you tell me the carb count for the original recipe (as in for the ingredients instead of a total) and i could work it out? actaully i can work it out, that's just lazy!! Lissy the tablets have a lot less carbs, 1 cup of granular is 23g whilst 50 tablets are just under 4g!!!! With the coverture, because it has no added sugar you may need to add a little extra splenda, I would just taste the batter and go from there. With the tablets, some people dissolve them in hot water but I have never found it necessary. All I do is crush them into a fine powder with either the back of a spoon or a mortar and pestle. What size cake tin do you use for this cake?